To call China’s human rights lawyers “battered” is an understatement. These lawyers are victims of the Chinese government’s deliberate and brutal pursuit to render them extinct. And that is why the nomination of Chinese human rights lawyer Wang Quanzhang for the Dutch government’s Human Rights Tulip award is so significant and why readers should vote for him (public voting is open here until September 6, 2017). Wang is perhaps the quintessential human rights lawyer. Even before graduating from Shandong University Law School in 2000, he was already representing some of Chinese society’s most vulnerable: members of the banned spiritual sect of Falun Gong. From there, he extended his practice to assist farmers whose land was being confiscated, criminal defendants and other civil rights activist. Throughout, he received constant pressure from the Chinese government to discontinue his practice and in 2013 was taken into custody by Chinese police merely for defending his client in court. But instead of ending his advocacy, the Chinese government’s pressure only emboldened him. Wang criticized the Chinese government in a series of blog posts under the pen name Gao Feng and in 2014, traveled to Heilongjiang to protest the illegal detention of other human rights lawyers. But for Wang, practicing law was not enough. He also sought to elevate the legal profession in China and joined forces with a small foreign NGO in Beijing – Chinese Urgent Action Working Group (“China Action”) – to teach and support other human rights lawyers throughout China on how to effectively advocate in a one-party dictatorship. While the rest of the world might celebrate Wang’s commitment to justice, in China, Wang is considered a villain – at least according to the Chinese Communist Party (CCP). It is his work that the CCP fears as a threat to its one-party rule and is intent on destroying. On July 9, 2015, the Chinese government launched a national offensive against its human rights lawyers, simultaneously detaining over 300 lawyers and activist across the country (known colloquially as the “709 Crackdown”). Wang was caught up in the persecution and on August 4, 2015 was detained for suspicion of “picking quarrels and provoking trouble” and “inciting subversion of state power.” Since then – for over two years – he has been held incommunicado, with his lawyers and his wife denied any access to him. Ironically, the rights that Wang has long sought for his own clients – the right to meet with an attorney, the right to a fair trial, the right to a speedy trial in accordance with Chinese law – is being denied to him as he remains isolated in prison. For sure, China’s human rights lawyers have been under assault for close to a decade now. But as Professor Eva Pils notes in a recent article, the 709 Crackdown is much more severe, with new and frightening measures taken by the Chinese government. 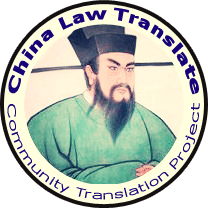 From the inception of the Crackdown, the Chinese government has vilified these lawyers by name in the press (including naming Wang as a ringleader) and refer to them as a “criminal syndicate.” It has also changed its rhetoric – no longer are human rights lawyers a threat to social stability; instead, because of the influence of “foreign forces,” specifically the use of foreign NGO funds, the Chinese government presents these lawyers as a national security risk. And more recently, Pils notes that there appears to be at least six detained human rights lawyers who have been forced to take medication while in detention. But not for any current medical condition. Instead, it appears to Pils that the Chinese government’s use of forced medication has had a physiological impact on the detainees and is being used more to alter the personalities of the human rights defenders with the hope that they do not continue to practice once they are released. And this is another reason why Wang Quanzhuang should be awarded the Human Rights Tulip. China – the world’s second largest economy – offers another way by which to order society. A world where human rights take a back seat to economics and alleged national security issues. Unfortunately, the rest of the world appears to be largely playing along. As Nobel Peace Prize winner Liu Xiaobo laid unnecessarily dying in a Chinese prison hospital, imprisoned for his speech, not a single world leader made a public peep about it at the G20 Summit that was happening at the same time. As Beijing dismantles Hong Kong’s democracy, Western democracies largely remain quiet. In May 2017, U.S. Secretary of State Rex Tillerson ignorantly stated that promoting human rights “really creates obstacles to our ability to advance our national security interests, our economic interests.” In June 2017, Greece – which has been able to economically recover largely through the support of China – vetoed the European Union’s condemnation of China’s human rights record. And this has only been the last four months. With the nomination of Wang Quanzhuang for the Human Rights Tulip, the question arises – how many times can the world turn its head and pretend that it just doesn’t see? Is this who we really are? If the answer is no, then please vote for Wang Quanzhuang here. From the top three, the Minster of Foreign Affairs of the Dutch Government will choose a winner.